A free pattern from the Plucky Knitter! This cowl doesn’t have to be limited to Bello Worsted or Scholar. It will be fabulous knit in a variety of combinations of the Plucky yarn bases! The blue sample shown was knit with two strands of Bello Worsted held double and the pink one in Scholar. Experiment with any base or a combination of bases that will give you gauge. Do you love a more decadent, luxurious feel? Try Bello Worsted or Plucky Cashmere. 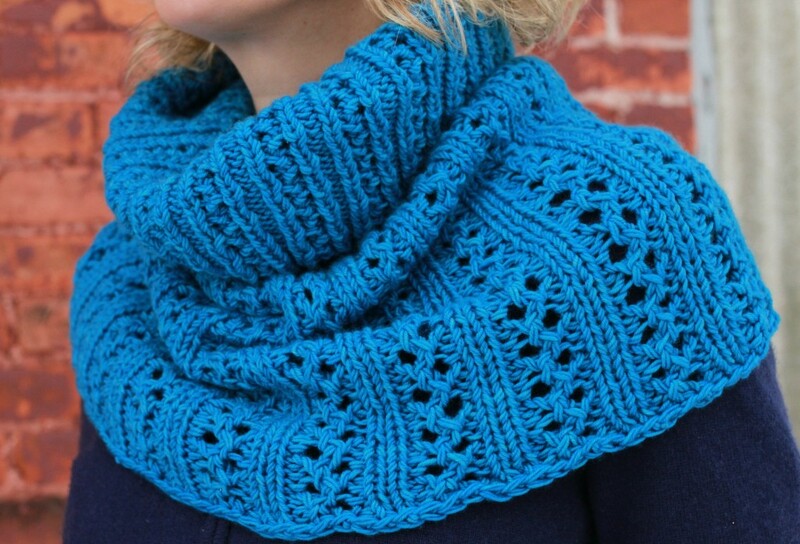 Traveler Aran or even a combo of Plucky Lace and Primo Worsted will make a lovely cowl. The possibilities are endless!